Weird 10 is due to take place at the Athenaeum Theatre in Warminster on Saturday 21 and Sunday 22 August. The event will showcase 12 well-known speakers, researchers, authors and celebrities on the subject of UFOs and the paranormal. Last year's Weird '09 event was rated one of the best conferences of its type in the UK, and organisers hope to go one better in 2010. Event organiser Chris Williams said: "Everyone is welcome to come along, not just people who are into the unexplained. "Our aim is to give a balanced view. There will be experts there and we ask people to come with an open mind. This is not one of those kind of conferences where everyone wears an anorak! It's for the general public as much as anyone." Household names such as Nick Pope and Ciaran O'Keeffe and well-known researchers such as Andy Russell, Dr David Clarke, Andy Roberts and Wal Thornhill, will all be speaking at this year's event. 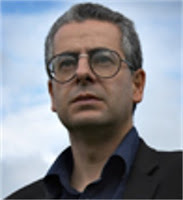 Nick Pope came to prominence in the mid-90s following a resurgence in interest in UFOs and the paranormal through publicised alien abduction claims and the success of hit TV show, The X-Files. Weird 10 will be held over two days at the Athenaeum Theatre in the small town of Warminster.. near bath.. a few hours out of london by the train. For more and speaker list see their website. Many of us have very little time for Mr. Pope, who appears to be everywhere. Is he a disinformation agent? How can he be so ill versed in the subject? More than once he's come out enthusiastic about videos and photos that were obviously complete forgeries. It seems he just stumbled into a career as an "expert investigator" after working as a letter-opener for the MoD, and now goes around pontificating on the topic without ever saying anything of value.